A sheriff’s deputy investigating reports of unprovoked assaults with a baseball bat by an unidentified man in Fallbrook fired his weapon when he found himself under the same kind of attack early this morning. The suspect was left with multiple gunshot wounds to his body, which he was treated for at a local hospital, San Diego County Sheriff’s Lt. Rich Williams said. He was expected to survive. The deputy sustained a laceration to his forehead. 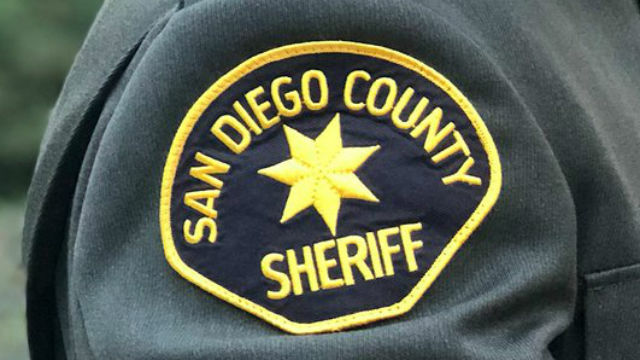 Sheriff’s deputies received three reports of baseball bat attacks near the area of Reche and Ranger roads in Fallbrook this week — one on Wednesday evening and two on Thursday evening, Williams said. Each attack was unprovoked and resulted in a vehicle damage and injuries before the victims fled to escape the attacker, he said. In response to the reported attacks, sheriff’s deputies conducted surveillance of the area early Friday morning. During the surveillance, a man walked up to a deputy in an unmarked car and smashed the window of the vehicle, shattered broken glass over the interior, prompting the deputy to open fire in self-defense, Williams said. Reche Road was expected to be closed between Ranger and Mission roads while deputies investigated the incident Friday. Officials didn’t immediately release the identity of either the suspect or the deputy involved in the shooting.